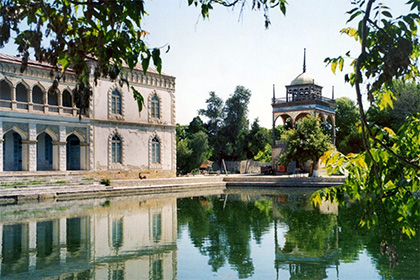 This tour is designed especially for those who love great history, incredible beauty and unforgettable adventures. 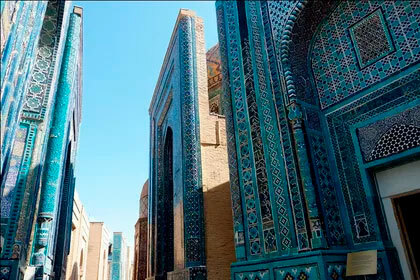 Uzbekistan, once known as the heart of the East, the center of trade and education on the Great Silk Road welcomes you and invites you to enjoy the exceptional hospitality of its people, minarets reaching the sky, beautiful madrassas, traditional villages. 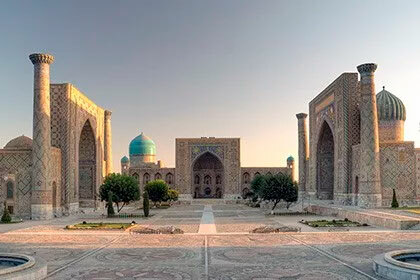 Combining the breathtaking Registan Square in Samarkand with the way of life of nomads near Lake Aidarkul and the mountainous nature of the Nurata Reserve - this trip will introduce Uzbekistan from another perspective. 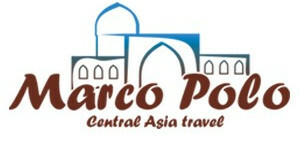 Start of the tour: Bukhara	 Accommodation: 3 stars, Yurt. 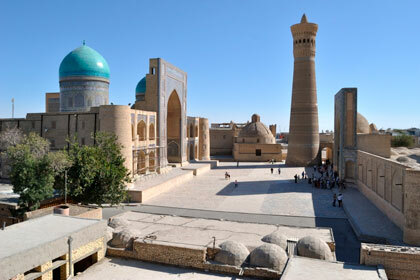 Duration: 7 days / 6 nights Сities: Bukhara, Aydar lake, Samarkand. 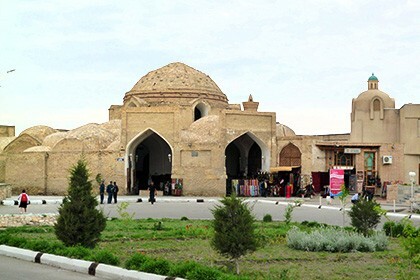 Arrival in Bukhara - the most ancient city-fortress in Central Asia with beautifully preserved to this day architectural monuments of the eastern Middle Ages. At the airport you will be met by a guide who will drive you to the hotel. 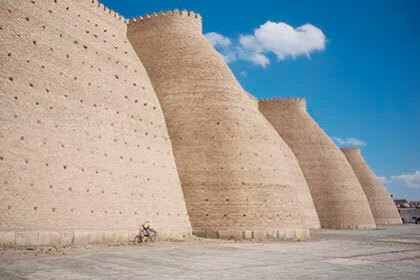 Bukhara is a real Eastern fairy tale. 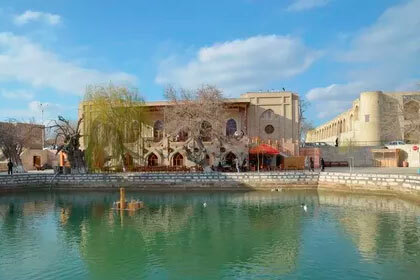 Almost all the monuments of Bukhara are within walking distance, and this will allow you to walk around the city during the excursion. Transfer to the Kyzyl-Kum desert, Yangikazgan region (280 km). On the way, you will have lunch in the tea house called "Kirk Chenor". In Yangikazgan you will stay in the Aydar yurt camp. The camp is located eight kilometers from the beautiful Aydarkul Lake, which you can easily call a sea for its magnificent sandy beach and size. In the camp you will be accommodated in real yurts and you can ride camels, bicycles and just stroll around the neighborhood. In the evening, you will enjoy a supper under the night sky, strewn with thousands of stars and Akin's musical show by the fire. OPTIONAL: In the camp there are excellent opportunities and conditions for organizing conferences, costumed shows, master classes for cooking national dishes, night discos, team building, quests, national game Kupkari (polo with goat carcass), tracking. Today you will go to the beautiful Aidarkul - a huge blue lake in the sands of Kyzyl-Kum, one of the most beautiful places in Uzbekistan. Here you can swim in the warm water of the lake, sunbathe (depending on the season) and simply spend a great time on the clean beach of Aidarkul, not yet touched by human life. Here, on the shore of the lake, you will enjoy a delicious lunch of freshly caught fish. Return to the camp and dinner by the fire. Today you bid farewell to the yurt camp and go to Samarkand (250 km). Road takes about 4 hours. On arrival check-in at the hotel and rest. 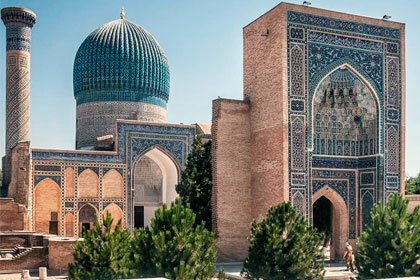 Samarkand, also known as "Rome of the East", has been a prosperous commercial and educational center since time immemorial. 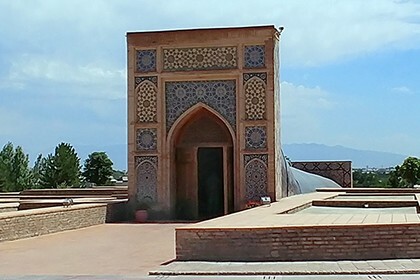 and tomb of Amir Timur - Gur Emir. 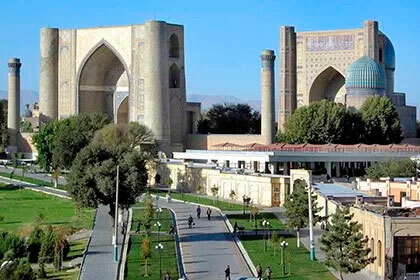 *Depending on the time of departure, you can continue the tour of Samarkand on this day. There are many interesting places here! The proposed routes are not fixed, and you can adjust them according to your needs.